We sell a variety of pocket money toys for children including fossils, dinosaurs, Roman soldiers and Viking swords. 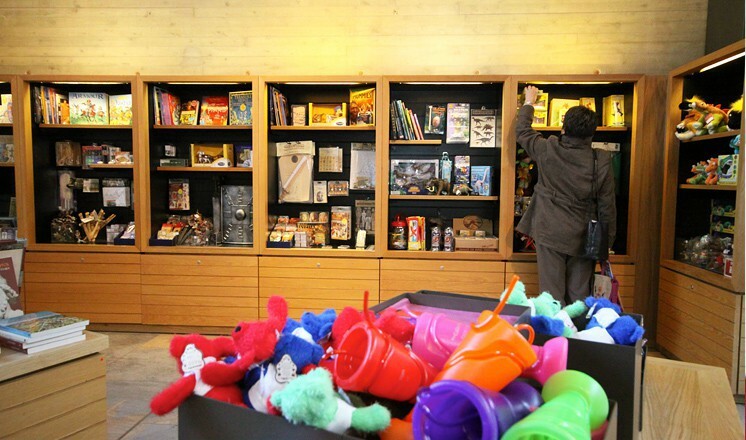 We also have a good selection of gifts, books and games for that special present. 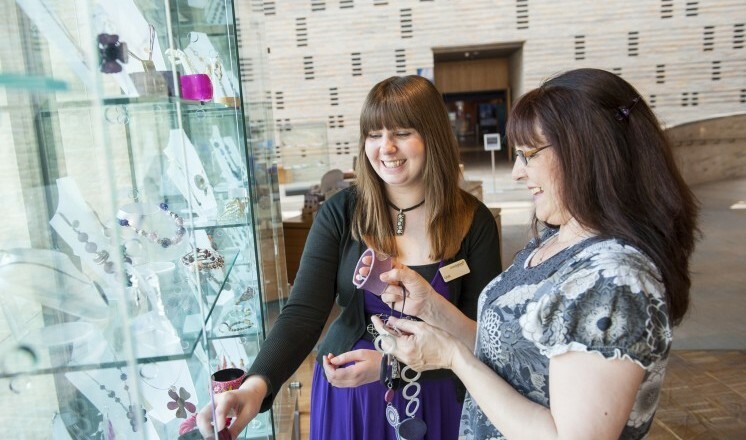 If you have a birthday to buy for we stock several card ranges for children and adults alike as well as a wide range of costume jewellery that is excellent value for money and extremely popular with visitors. 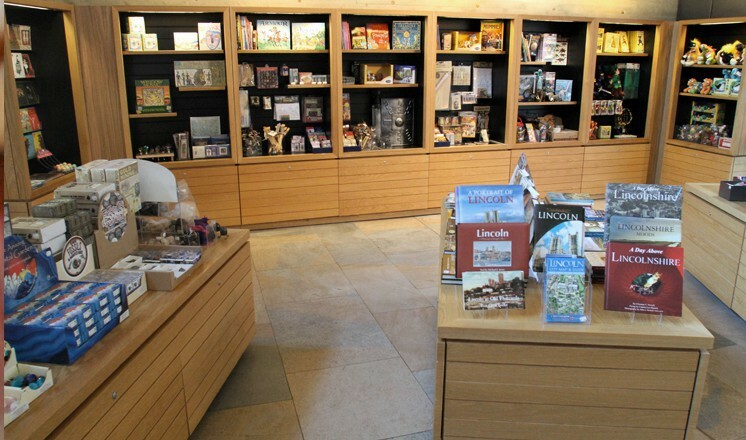 Our local history section has many books and guides for anyone wishing to find out more about Lincoln’s rich history and we also stock special interest publications including books on prehistoric cooking, Anglo-Saxon crafts and Roman Britain. 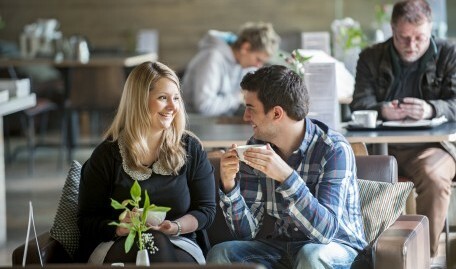 In addition we also sell discounted, end of range books for those with an eye for a bargain. 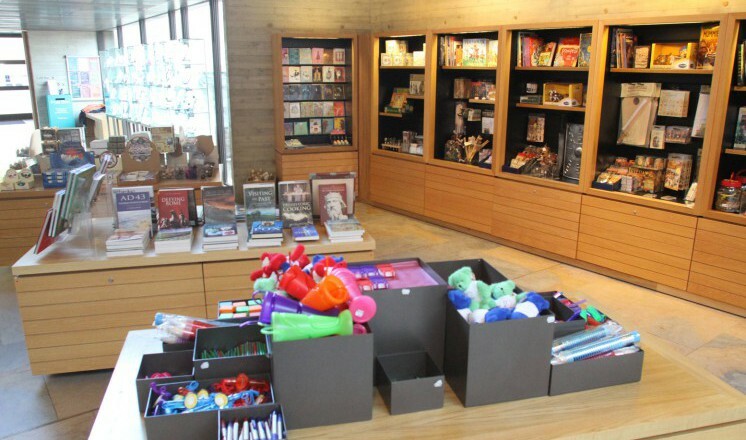 The smaller retail area at the Usher Gallery allows visitors to peruse and purchase catalogues from many of the gallery's past exhibitions such as Tennyson Transformed, Peter DeWint and The Dora Bond Bequest which features works from the Usher Collection by Marc Chagall, Ivon Hitchens and Edouard Vuillard to name a few. Turner Prize Winner, Grayson Perry designed and created a tea towel to accompany The Charms of Lincolnshire; an exhibition he curated at The Collection and this too can be purchased from the Usher Gallery's pavilion entrance. We also stock a range of postcards, prints and greeting cards featuring works from our collection including John Piper, J.M.W. Turner and William Logsdail. 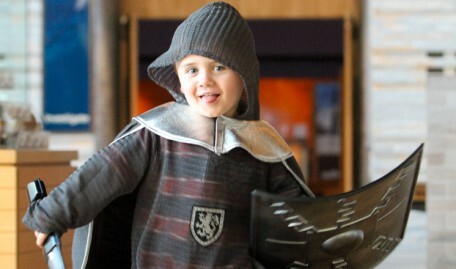 Whether you are looking for a life size gladiator helmet or a furry dinosaur we believe there is something for everyone when you shop at The Collection. An exciting and creative space for younger visitors with innovative activities and a designated area for babies, Play allows children to move, interact and create in a bright and colourful environment.